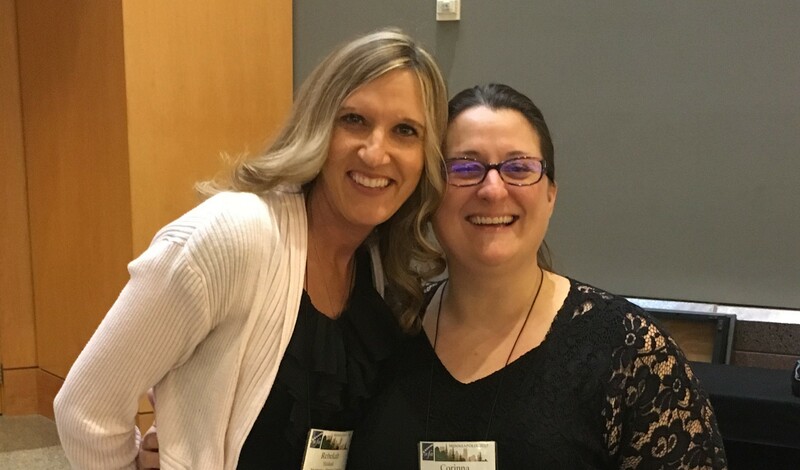 Two flutists from the Northern Tier Symphony, Rebekah Hickok (above, left) and Corinna Muller (right), recently attended the 45th annual National Flute Association convention, held Aug. 10 to 13 in Minneapolis. Flutists from all over the world, including Russia and Australia, met to share new flute techniques, world premiere compositions, and try a new instrument — the mini-flute. Hickok and Muller spent the week-long convention performing, collaborating, and attending seminars and masterclasses on flute music — from baroque to jazz. 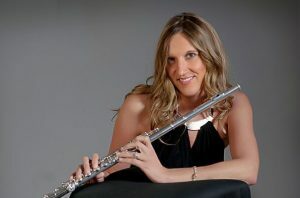 Muller, of Mountaintop, received her Bachelor of Arts degree in music with an emphasis in flute performance from the University of Alaska-Fairbanks, and now studies at the Wilkes Conservatory. For the National Flute Convention, she won a flute position (one of 24 selected from a nationwide competition) in the National Flute Association Professional Flute. The group performed at the finale concert at the Convention. She also attended the Summer Music in Tuscany Festival and made her Italian performance debut at the Teatro Comunale delgi Arrischianti in Sarteano, Italy this summer. 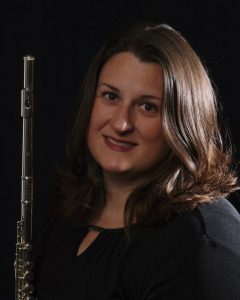 Hickok, of Montrose, holds a Bachelor of Music degree in flute performance from the University of Northern Iowa School of Music. Currently she teaches flute and piano at Endless Music and performs with the Vestal Band. “It was so inspiring to attend the eye-opening NFA Convention this year,” noted Hickok (above). “The convention is designed to completely engulf you into the rich, mesmerizing world of flute and flood you with all genres of music that are performed by flutists from all over the globe and it accomplished just that for me. Both Hickok and Muller perform in the flute section of the Northern Tier Symphony Orchestra. The Northern Tier Symphony will next perform on Friday, Nov. 17 at 8 pm at Peckville Assembly of God in Blakely, and again on Saturday, Dec. 2 at 8 pm at the “Christmas In Our Hometown” celebration at Tunkhannock Area Middle School. The Northern Tier Symphony Orchestra was founded in 2010 as a non-profit community orchestra with the goal of bringing live classical music to the Endless Mountains region of Pennsylvania. It is based in Tunkhannock, where it presents several concerts each year. The Northern Tier Symphony is a non-profit community orchestra. For more information, contact the orchestra at 570-289- 1090, e-mail northerntiersymphony@yahoo.com, or visit www.northerntiersymphony.org.